Brandy Multi-Striped Scarf Only $14.95! You are here: Home / Great Deals / Brandy Multi-Striped Scarf Only $14.95! This nice lightweight scarf is going to take you from summer into fall. Adds a pop of color at your neckline and will be a great accessory to any outfit! This scarf is ultra-soft and has a fun undone hem! 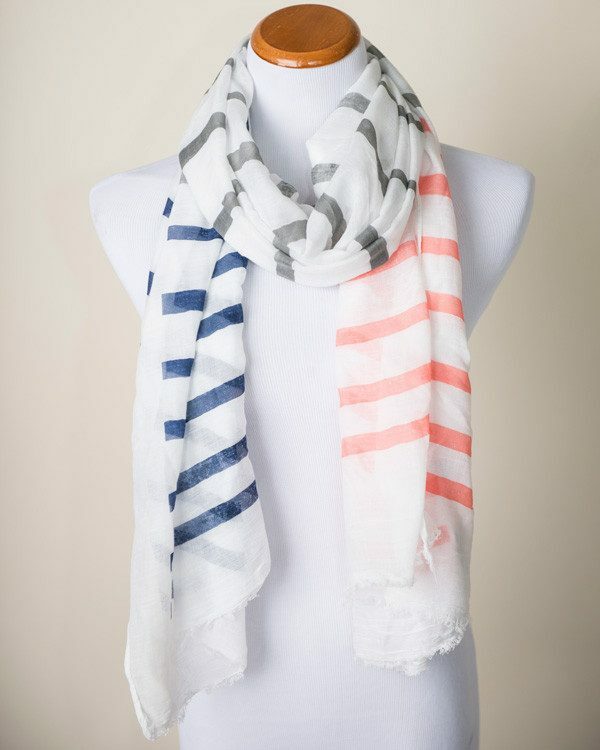 Get the Brandy Multi-Striped Scarf Only $14.95! Available in 3 color combinations!